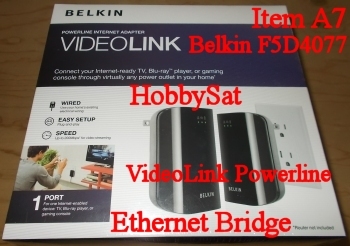 Facebook: Transmit ANY video stuff around the house Easily with these! The greatest help for Home Video Streaming. Item A7: $38.95Can or $28.85us per pair Brand New. 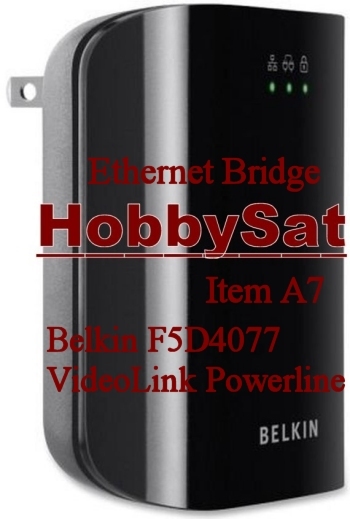 Get a Belkin Powerline adapter for your media stuff throughout the house. 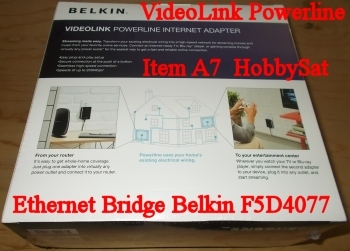 Get a Belkin Powerline Adapter for Skyping and Video Calling/Chatting. slower than an ethernet cable but far faster than wireless or WiFi. These units are GREAT for media players and computer devices! - Connect your internet-ready TV or Blu-ray player through any power outlet in your home. - Easy setup - Plug and Play installation. - Speed - transfer rates up to 200* mbps. - Connect any 1 internet ready device: IPTV, Blu-ray player or gaming console. building materials, and other conditions. devices through the household electrical wiring. Send data with speeds of up to 200Mbps. unique encryption code at the push of a button. outlet for the easiest way to get a fast and reliable online connection. an Internet-enabled device, plug it into any outlet, and start streaming. wiring in your home--without the need for costly Ethernet cable installation. The Ethernet port on the VideoLink makes it easy to stream Internet data. Connect one Internet-enabled device like a TV, Blu-ray player, or gaming console. 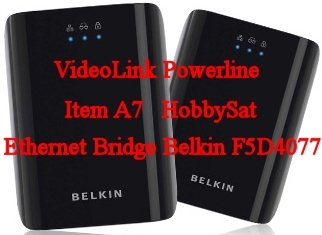 VideoLink Powerline is preconfigured with 128-bit AES encryption for automatic security. For added assurance, security can be reset with a unique encryption code at the push of a button. Perfect for GAMING and Gamers. Google TV Box, Playstation, XBOX 360, PS3, computers, TVs etc. Works with all appliances with an ethernet internet port. All MyGica. ZaapTV. Jadoo. Computers. Laptops. Notebooks. Tablets. Shava. BTV. maaxTV. AraabTV. Skyping. Video streaming. 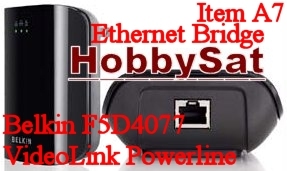 Factory Replacement or Add-on Ethernet Bridge for any and all electronic appliances with an ethernet port. some more for lots of our video streaming all around the house. The price is very good and it saves us a lot of trouble. Marilyn Chester April 19, 2017, Halifax. Media players, Android TV, IPTV, TV Antenna stuff and Free to Air Satellite.